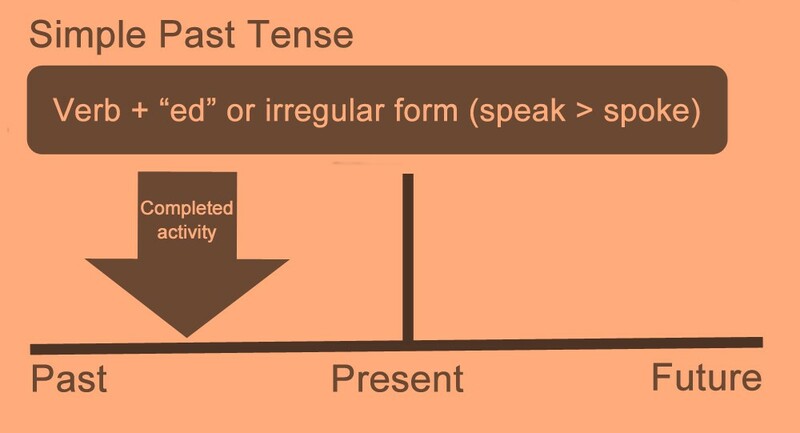 A tense is any of the forms of a verb which distinguish when an action or state of occurring or exists. Present Tense denotes an action that is taking place in the present time stamp. The kids are playing cricket. He goes to school every day. I drink water after I wake up in the morning. The soldiers are climbing up the wall. I have just completed my homework. My parents have lived in Goa for 20 years. I have been working in this company since 2010. I met him one week ago. India won the last match. Ram completed his graduation last month. I visited the doctor yesterday. Akshay broke his leg during school days. Actions that continued in the past (the time about which we are talking about). It is always conveyed along with a simple past tense for mentioning the time or sometimes with another past continuous tense. The kids were playing when they went to the park. In this case, two actions of the past that occurred one after another are described in one sentence. The action that occurred first is always written in past perfect tense and the action that occurred later is written in simple past tense. The programme had ended before we reached there. The train arrived after he had reached the station. 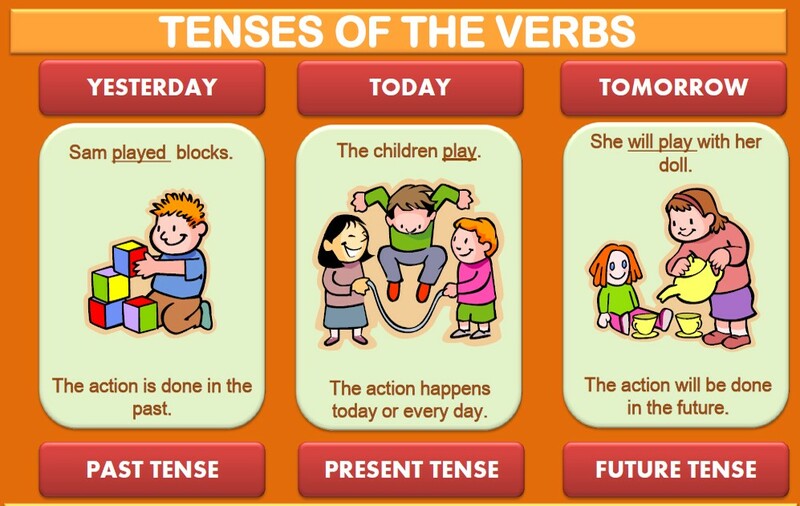 If both the actions occurred immediately one after another then both the sentences or actions will be in simple past tense. The bus left just after we reached there. They had been friends for many years before they started the business. We will never see this classroom again. Our college will start next week. I will go to Mumbai next month. My elder sister will be getting married next month. Actions that will be occurring in the future. My aunt will have recovered by the next week. The price of the electronic items will have decreased by the next budget. Actions that will start at some point of time in future and will continue for a certain period and will end in the future. They will have been playing cricket all day tomorrow. Present tense tells about the present action. 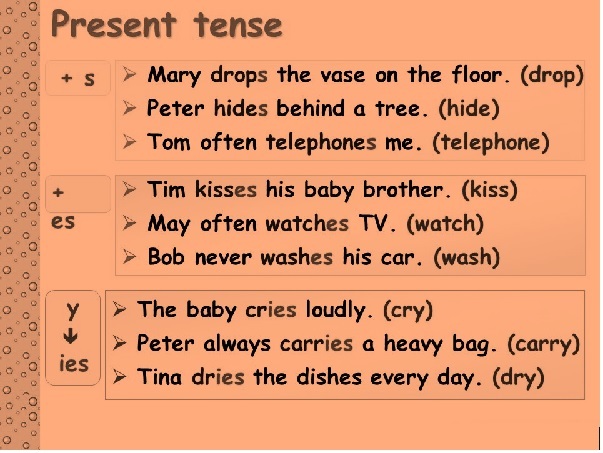 Past tense tells about an action that has already been occurred. 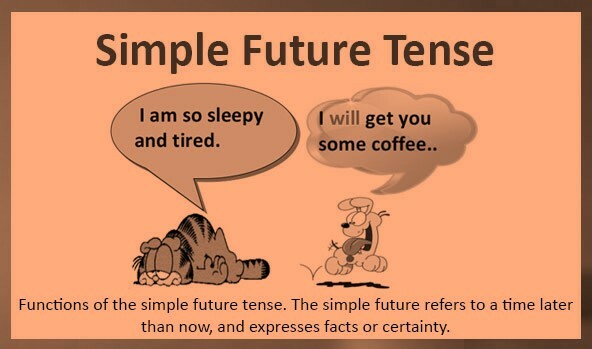 Future tense tells or predicts about the action that is going to occur in the future. Did you know that India has a…...?